Sending your child to college can rock your world. You worry whether you've imparted enough wisdom for them to successfully live on their own. Did you remind them to sort darks and whites to avoid turning all of their clothes pink? Do they understand how to budget so they don't run out of money at the end of the first month? They're Ready. Are You? is a real-life account of one mother's journey into the ultimate parenting transition. Liz Yokubison addresses the essence of the empty nest - how it feels, how to embrace it and how to make this next chapter of your life richer than before. Peppered with humor, realism and pure honesty, They're Ready. Are You? 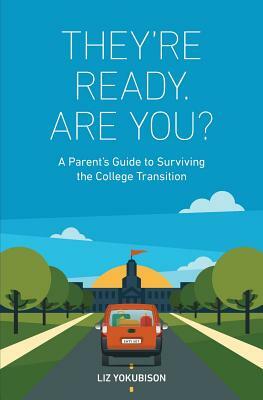 provides insights that every parent will appreciate.